Alright – so I spent quite awhile researching how to watch the 2018 FIFA World Cup on Firestick. 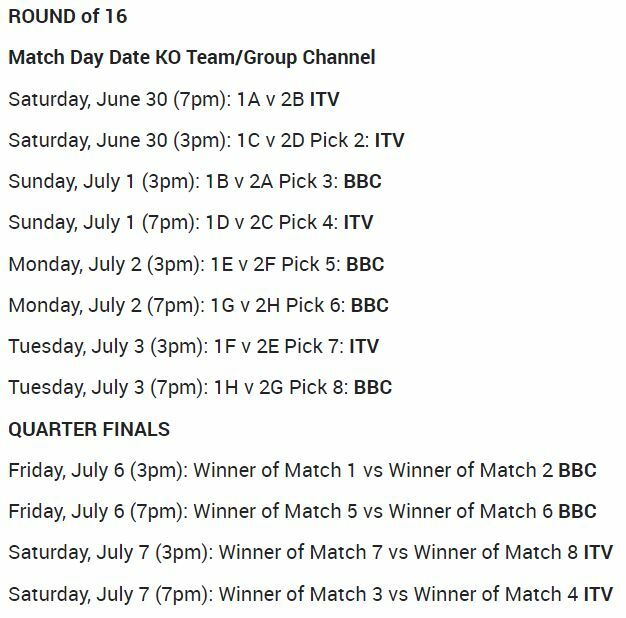 Basically, I found out that a handful of Firestick apps offer ALL the channels you need in order to watch the 2018 World Cup. This tutorial shows you exactly how to install apps to watch the 2018 World Cup on your Amazon Fire Stick or Amazon Fire TV. What’s in this FIFA World Cup Firestick tutorial? Then I show you What Channels Are Showing the World Cup? After that, we see Which Apps Do I Use to Watch World Cup on Firestick? How Do I Watch the World Cup on Firestick? Launch FileLinked and enter my code. My code is 28180990. After the app finishes downloading, select the app to install the app. When the installation of the app is complete, “Open” the app. After you launch the app, find the “Search” icon and select it using the Firestick remote (which is usually in the top right part of the screen). In the search field, use the onscreen keyboard to search for “BBC“, “ITV“, or “itv 4“. When you see the search results, select a channel (the channels showing ALL World Cup games are ITV, ITV 4, and BBC). Enjoy the 2018 FIFA World Cup on Firestick. Which Channels show the 2018 World Cup? 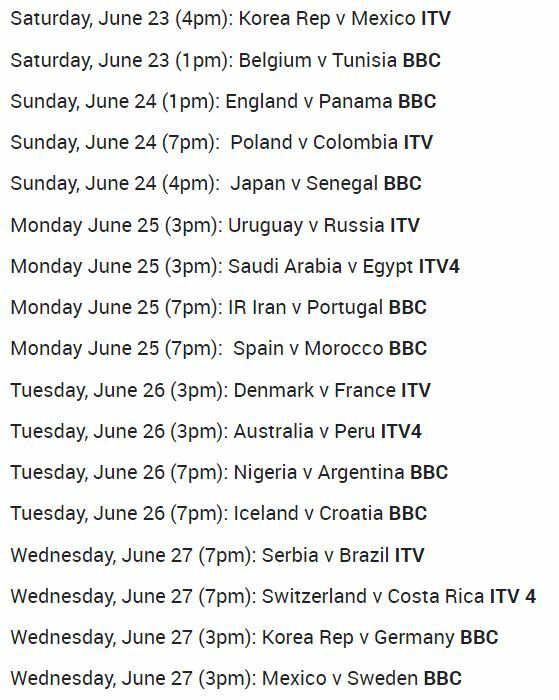 All World Cup games can be seen on these channels: ITV, ITV 4, and BBC. Many other “country-specific” channels (see the full list below). Yes, there are many other channels in various countries which show the 2018 FIFA World Cup. 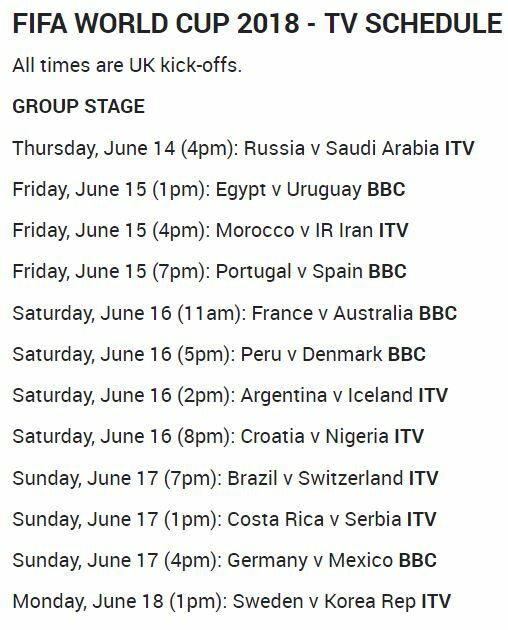 But since ITV, ITV 4, and BBC will show all the games, I’m sticking with those 3 channels. Which Firestick apps are showing the 2018 FIFA World Cup? How do I install apps on Firestick to watch the 2018 World Cup? Launch one of the apps and start watching 2018 FIFA World Cup! Let Me Walk You Through How to Watch the World Cup on Firestick..
First of all, there are certain channels which are showing the World Cup on Firestick. While there are many channels showing the 2018 FIFA World Cup, there are THREE channels we can use to watch ALL of the World Cup matches. These channels are ITV 1, ITV 4, and BBC. Some users (particularly in the U.S.) may prefer to use Fox Sports 1 / Fox Sports 2 to watch the World Cup on Firestick. Therefore, I also show you how to watch Fox Sports on your Firestick. Secondly, we use a small combination of Firestick apps to accomplish your World Cup Firestick viewing needs. These apps are: Downloader, Filelinked (formerly Droid Admin), MX Player, Live NetTV, Mobdro, and a few more Live Streaming TV apps. Let’s begin the process to Install World Cup apps on Firestick! To begin the process to watch FIFA World Cup on Firestick, we simply go to the Search function from the Firestick home screen. Then we search for “Downloader” and install Downloader. After Downloader is installed, we enter the address bit.ly/filelinkedapk into the Downloader app. Then press “Go” / “Next” to download FileLinked to your Firestick. After that, we simply install Filelinked (the Filelinked installer should Open for you automatically when the download is complete in Downloader). Once Filelinked is installed, we enter a Code into Filelinked. This code (which I made just for you!) is 28180990. 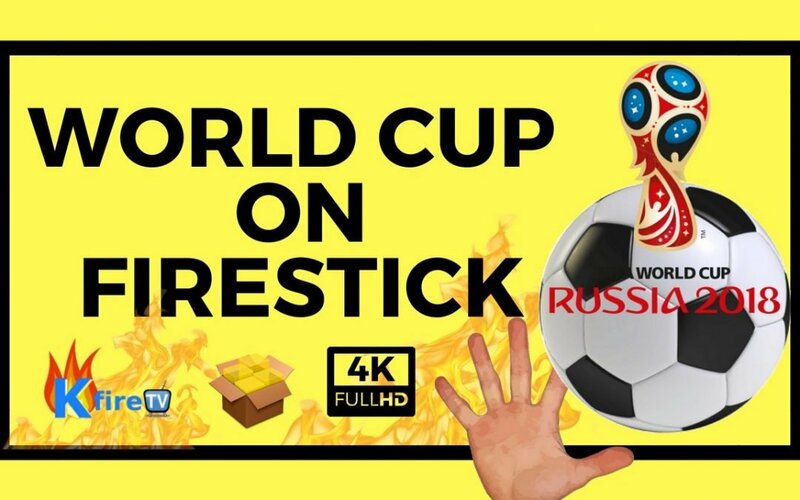 After you enter the code, press “Continue” to display my list of 2018 FIFA World Cup Firestick apps! Then, select the first app in the list using the Center button on the Amazon Fire TV Stick remote. Wait for the download to finish (the green bar will fill completely and the Download icon will change to the Play icon). Then press the Center button to launch the installer for the first app you just downloaded. Now select “Install” once the installer launches. Wait for the installer to install the app. Then repeat this process for the next 4 apps in the list (which should be MX Player, Live NetTV, Mobdro and one more World Cup streaming TV app). After you install the first 5 apps in the list, you now launch one of the streaming TV apps (I prefer Live NetTV to start out with). To do this, press (and HOLD DOWN) the Home button on the Firestick remote. Then select “Apps” using the Center button on the Firestick remote to access the “quick apps” area of your Firestick. Now, hold down on the Down button on your Firestick remote until you reach the bottom of the list of Apps. Then simply launch Live NetTV by navigating to its icon (which has a red circle). Then press the Center button on the Firestick remote to Open the Live NetTV Firestick app. Once the Live NetTV app is launched, navigate to the Search icon within Live NetTV. Then use the onscreen keyboard to enter “itv” or “bbc” into the Search area. Then press “Go” / “Next” to perform the search. In the search results, select “ITV”, “ITV 4”, or “BBC“. If a prompt appears asking you to choose a stream (aka “Link”), then just choose a Link. Wait a moment for the Firestick to fetch the stream. If the stream doesn’t work, then try again (using the “other” Link, for example “Link 2” instead of “Link 1”). Note: Some channels only have ONE Link from which you can choose. If a channel is unavailable, then use a different app to watch the channel (such as Mobdro, which we also installed earlier in this process). 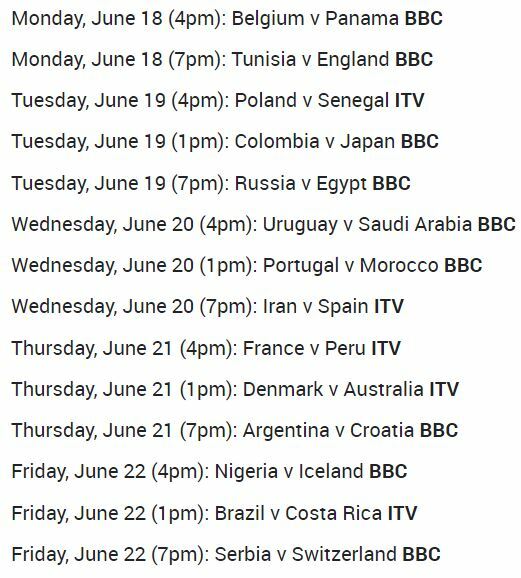 Here’s our list of each country that’s showing the 2018 FIFA World Cup, along with the channel(s) for each country that will show the World Cup (from Wikipedia).